We're excited to offer this capable 2009 HARLEY FAT BOY . . * Visit Us Today * Test drive this must-see, must-drive, must-own beauty today at Winnie Dodge Chrysler Jeep Ram, 125 Hwy 124, Winnie, TX 77665. KBB.com Brand Image Awards. Delivers 24 Highway MPG and 17 City MPG! This Ford Edge delivers a Gas V6 3.5L/213 engine powering this Automatic transmission. Tire pressure monitoring system, SYNC voice-activated communications & entertainment system -inc: Bluetooth capability, steering wheel controls, USB port, audio input jack, 911 Assist, vehicle health reports, SOS Post-Crash Alert System. *This Ford Edge Comes Equipped with These Options * Solar tinted front door window glass, SIRIUS satellite radio (subscription required), Side-impact air bags, SecuriLock encrypted passive anti-theft system (EPATS), Second row 60/40 split fold-flat bench seat -inc: EasyFold seat release, fold-down armrest w/(2) cupholders, Safety Canopy for (2) rows w/rollover sensor, Reverse sensing park assist system, Remote Keyless Entry, Rear window defroster, Rear multi-link suspension w/trailing blade control arms. * Expert Reviews! * As reported by KBB.com: Softer than some, stiffer than others, the 2009 Ford Edge hits the mass-appeal sweet spot in ride and handling. Coupled with a refined, eager powertrain and notably quiet highway cruising, the roomy, comfortable, versatile Edge is an extraordinarily well-rounded way to move throughout the world. 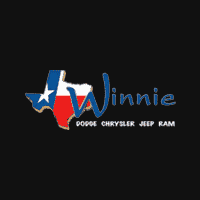 * Stop By Today * Test drive this must-see, must-drive, must-own beauty today at Winnie Dodge Chrysler Jeep Ram, 125 Hwy 124, Winnie, TX 77665.